Jay Whittle looks at the social media reaction following Wigan Athletic’s 2-1 defeat to Leeds United at the DW Stadium on Sunday. Leeds United came back from behind to inflict Wigan Athletic’s first home defeat of the season in their final match under the Whelan family’s ownership. The change of ownership at the DW Stadium signals the end of the Whelan’s 23-year reign at the club. In those 23-years, fans have been able to witness five promotions, eight-consecutive seasons in the Premier League, a European tour, and a shock FA Cup victory in 2013. 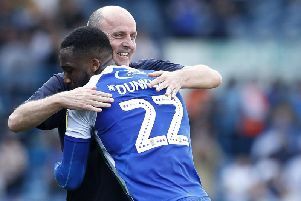 Latics got off to a dream start at the DW Stadium when Reece James’ stunning free-kick gave the hosts a sixth minute lead. But Wigan’s lead turned out to be very short-lived after Pablo Hernandez got Leeds back level just three minutes later. And Leeds struck again after the interval through Kemar Roofe, who capitalised on Christian Walton and Cedric Kipre’s defensive mishap to put the visitors 2-1 up. Although Wiganers hailed Leeds on social media for their impressive display, Latics fans were very unhappy with how their side performed. Latics’ players past and present took to twitter to bid farewell to the Whelan family, and thank them for everything that they’ve done during in their 23-years in charge. David Sharpe tweeted his thoughts on an emotional day for him and his family.